Home > Automotive Belts > Automotive Timing Belts > Gates T067 Automotive timing belt (Ford). Goodyear 40067. Dayco 95067. Gates T067. Goodyear 40067. Dayco 95067. 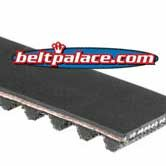 Genuine GATES T067 Automotive timing belt. Premium OEM Quality from Gates. CLEARANCE PRICED WHILE SUPPLIES LAST! 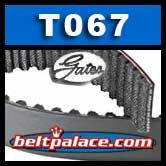 Gates T067 TIMING BELT CQBR. Product 85656428. OEM: Ford Motor Co.: E1EE 6268 DA, E1FZ 6268 D, E2EE 6268 AA, E3EE 6268 AA, E3FZ 6268 A, E5FZ 6268 A.